A year ago today, 16 members of a dissident Amish group from Ohio were found guilty of both federal hate crimes and conspiracy, for forcibly cutting the hair and beards of other Amish with whom they had religious differences. 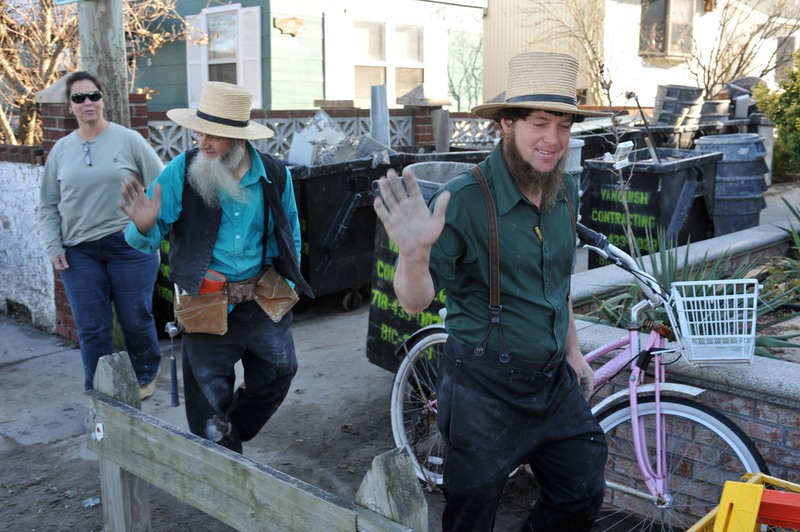 The ruthless assaults were classified as hate crimes because long hair and beards have important religious meaning in the Amish community, who are well known for their low-key style of dress, pacifism, and avoidance of certain aspects of modern technology. Those who were convicted in the attacks came from a community of roughly 18 families who lived on an 800-acre fame near Bergholz, Ohio, around 100 miles southeast of Cleveland. The farm was owned by the group’s leader, Samuel Mullet, Sr., who was an Amish bishop and father to 18 children. Mullet was also the driving force behind the ambush against the fellow Amish he saw as a threat to his ultra-conservative off-shoot sect. And yes, the man leading the hair cutting hate crime group is surnamed “Mullet“. Nine people were involved in five separate attacks, and fear spread through all the tightly knit Amish communities in Ohio, which had an Amish population of approximately 60,000. The assailants forcibly restrained their victims, and often injured anyone who tried to intervene on the victim’s behalf. Many times they would cut the victim’s hair or beard with shears meant to cut horse’s manes, and then take pictures so they could taunt the injured parties even further. 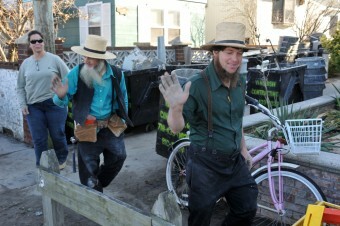 The Amish traditionally resolve any disputes they have within their own community without involving outside law enforcement. This time, however, several of the beard cutting victims reported the attacks to the local police out of concern that Mullet and his accomplices may be members of a cult. Mullet, who wasn’t present at any of the attacks, and several of his “gang” were arrested in late 2011, and the trial began in August 2012. It was a history making case, as it was the first time Ohio utilized a landmark 2009 federal law: the Matthew Shepard and James Byrd Jr. Hate Crimes Prevention Act. This law allows the government added power to prosecute crimes fueled by bigotry. On September 20, 2012, Samuel Mullet Sr. was convicted of federal hate crimes and conspiracy. It was a family affair, because convicted along with him were three of his sons, a daughter, and 11 of his followers for good measure. On February 8, 2013, a federal judge sentenced Mullet to 15 years, and the rest got anywhere from one to seven years.